It was reported on May 26th that mother of an autistic child has been waiting for the roof of her home in Walthamstow in east London to be repaired by Circle Housing for the last five months. 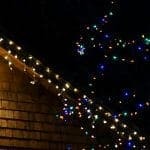 Michelle Ryan, a 46-year-old mother of one, first reported that rain was coming through her roof on Christmas Eve, and while a representative of the housing association visited the property that very day, nobody has returned to fix the problem. Ms Ryan says that her 12-year-old autistic son has been unable to go and play in their garden due to her very real fears of tiles falling from the roof. According to the mother of one, the presence of a hole in the roof means that her ceiling and walls are damp because rain enters the loft every time there is inclement weather. Ms Ryan says that on May 21st, she received a text saying that a contractor was on their way to her house to repair her and she duly waited in, but nobody turned up. After repeated phone calls, Ms Ryan was finally informed that she would have to ‘wait another six weeks’. When contacted by a reporter from www.guardian-series.co.uk, Circle Housing’s Regional Director of Property Services, Mike Hallimond, apologised for the five month delay, adding that they would resolve the issue ‘as quickly as possible’. As Ms Ryan is quoting as saying in the report, her situation certainly is ‘ridiculous’. 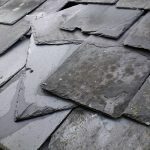 No-one should have to wait five months to have their roof repaired. In fact we would strongly urge anyone with a leaking or otherwise damaged roof to contact experts as soon possible. 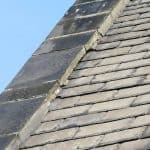 So, if you need roof repairs, and need reliable roofers that will attend to your problem with speed, call Wakefield Roofs now on 01924 640019.